I read this article and found it very interesting, thought it might be something for you. The article is called Ep 146: James Schramko – How To Work Less And Earn More and is located at https://copychief.com/ep-146-james-schramko/. If you feel stuck trading time for money, then this episode is for you. 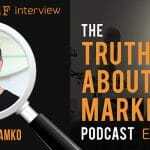 My guest James Schramko can show you how in this latest episode of Truth About Marketing. James is a good friend, but also my business coach. When we started working together, he showed me how to measure my effective hourly rate. … and I hope it’ll do the same for you and your business. There are small things you can do in your business today with high impact. So how do you figure out which has the most impact? How do you decide on a single choice when there are so many other choices? What can you do as a freelancer to double your profit without doubling the time you put in to work? P.S. 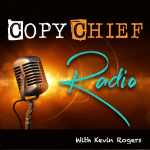 Be sure to download the free Copy Chief App (It’s free for iOS and Android) where you can get access to all of the podcast episodes, articles and more cool content designed to help you boost your sales. Disclaimer: Every effort has been made to accurately represent our product and it’s potential. Any claims made of actual earnings or examples of actual results can be verified upon request. The testimonials and examples used are exceptional results, don’t apply to the average purchaser and are not intended to represent or guarantee that anyone will achieve the same or similar results. Each individual’s success depends on his or her background, dedication, desire and motivation. As with any business endeavor, there is an inherent risk of loss of capital and there is no guarantee that you will earn any money.